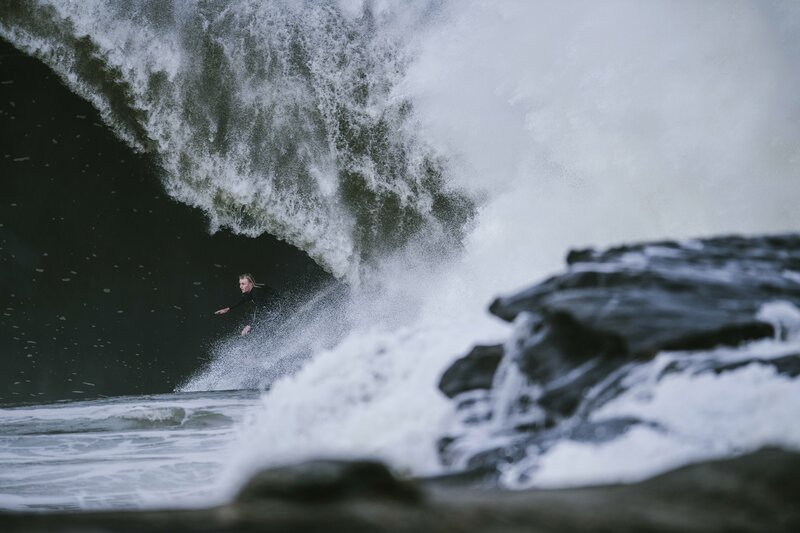 Nineteen year old charger Russell Bierke was rushed to hospital yesterday after suffering a heavy wipeout surfing in Victoria, alongside a crew of CT’ers and fellow Aussie hellmen. The incident occurred just up the coast from Bells Beach, where competitors were enjoying groomed 6ft lines for finals day. The coastline west of Cape Otway was enjoying similarly light winds but more than double the amount of swell, drawing in a smattering of Aussie chargers, and CT’ers who had dropped out of the draw to its shores. Amongst them was wunderkind Russell Bierke, who never passes up the chance to get stuck in when its solid. Eyewitnesses reported that Bierke appeared to get hit by his board on the head or neck after pulling into a big cavern. 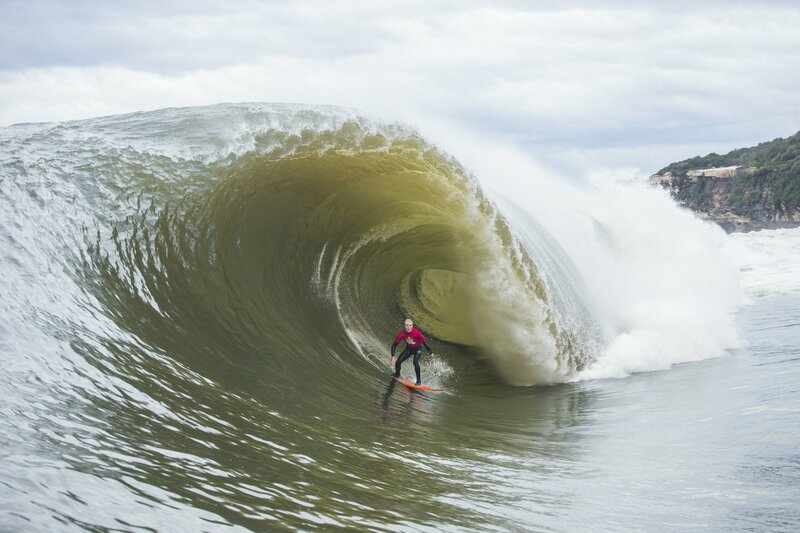 He then reportedly remained submerged, possibly suffering a two wave hold down, before resurfacing and being pulled onto a ski by Kelly Slater, Ross Clarke-Jones, and Ryan Hipwood. It was also reported that Russ wasn’t wearing an inflatable life vest, although others in the lineup were. “Kelly and Ryan bought him to shore. He was pretty blue, shaken up, and he’d taken in a lot of water,” an onlooker whose wife was the first paramedic to tend to Bierke told Swellnet. “Kelly said ‘call an ambulance’ recounts local councillor and surfer Jordan Lockett, in an interview with The Herald. “then I was relaying down the phone what Kelly Slater was telling me – the vital signs. He’s got a pulse, he’s breathing but he’s not well. He was very disoriented. I grabbed the oxygen (from the surf club) and ran outside. “There was Slater, three or four other surfers and (Bierke) was just vomiting up water like flat out. “He had really bloodshot eyes and he didn’t know where he was, who he was or what was happening. He was blue. He was like a smurf or an avatar. Cr Lockett added that the response had made him proud to be a surfer. “I was talking to Kelly (Slater) after it and he was saying how [he] could not have done it if the jetski wasn’t there. It would have been, given he’s an 11 time world champion and he’s fit, a 20-minute paddle minimum. “They (the waves) were 15 to 18 feet,” he continued. “The conditions don’t come together like that very often. They were really big and there were light winds and it was really sunny and it was nice and warm. “We were all having a lot of fun. It was nice and clean and big. It was pretty much what we came for. That was my last wave. I remember saying to the boys I want to go in. I was tired and hungry and wanted to get some food. 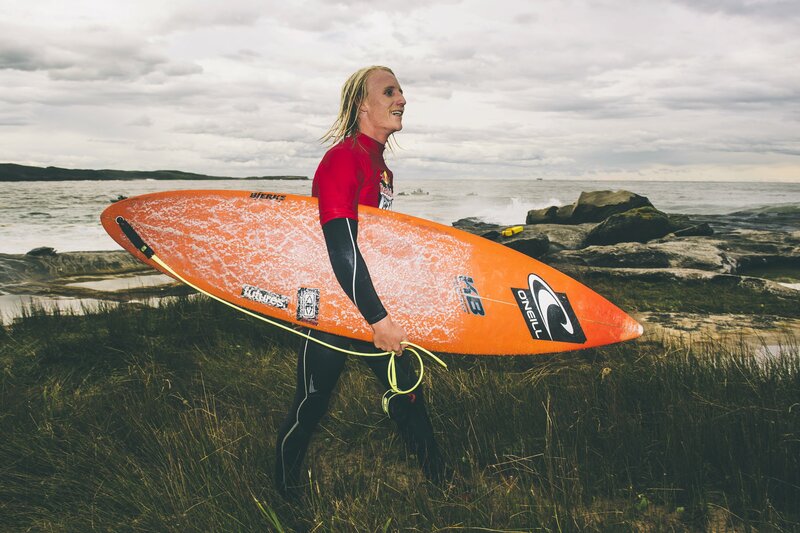 “(I’ve been told) I caught a wave and Hippo (surfer Ryan Hipwood) was in the channel and apparently just started screaming. Hippo could just see my board floating then and I think Hippo said another wave passed. 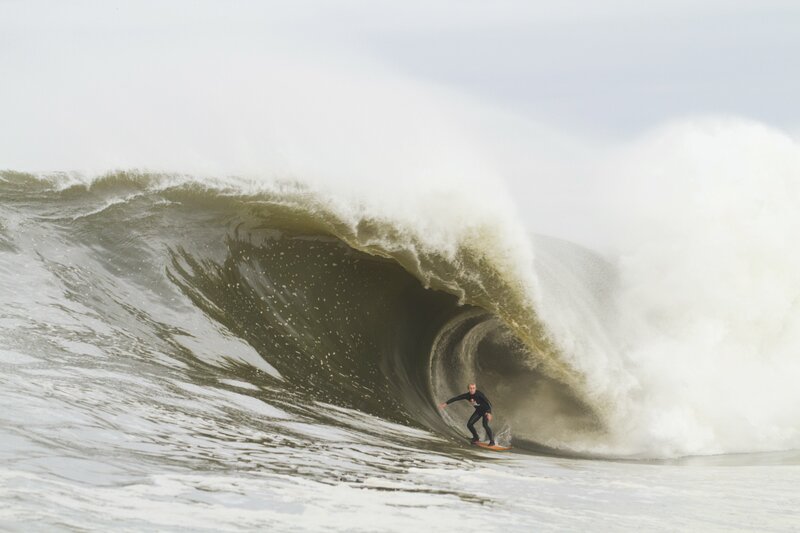 “It was one of the smaller waves of the session. Hippo said it was the smallest waves we caught all day. Intensive care unit manager Tina Johnstone has told The Herald that if Bierke had been underwater for anymore time he would have died. “It wouldn’t have taken long (for him to die). (Being underwater) it’s different to holding your breath because when you breathe again you can take in oxygen. (The water) starts to affect the heart and other different things. We wish Bierke a speedy recovery and look forward to seeing him out there charging again soon.